Marek Hamsik is edging closer towards a move to Chinese Super League club Dalian Yifang after 12 years with Napoli. The Italian club would've been relieved once the transfer deadline passed with PSG's hot pursuit of midfielder Allan ending in the process, however it looks as though they could now be set to lose another one of their star players instead. Whilst the transfer deadline for European clubs has passed, the deadline in China is still open with clubs still able to buy players away from European club, and it looks as though Dalian Yifeng are set to take full advantage. 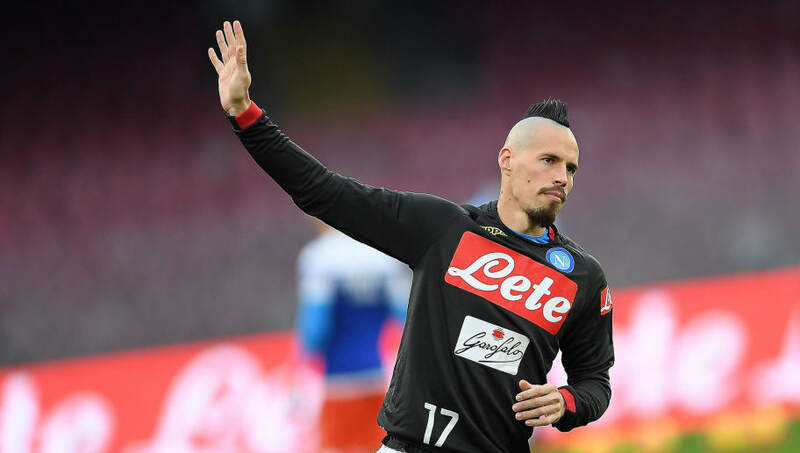 According to Sky Sports reporter Fabrizio Romano on ​Twitter, Hamsik is edging very close to completing a move to the Chinese Super League club, with the Slovakian international set to sign a three-year deal. Hamsik has become a cult hero during his time in Naples having spent almost 12 seasons with ​Napoli. In that time, the midfielder has managed 407 ​Serie A appearances with 100 goals and managed to win two Coppa Italia titles with the club. Unfortunately for Napoli fans, it now looks as though his time with the club is coming to an end with Dalian Yifeng set to swoop in for their star man. “There are negotiations on-going, we have to evaluate along with the player. The club has huge respect for this player, as he wrote history with Napoli, but if he wants to have another experience, we tend to want to make him happy. Dalian Yifang were founded in 2009 and won China League One (the second tier of Chinese football) in 2017 to gain promotion to the Chinese Super League. The club have already acquired both Yannick Carrasco and Nicolas Gaitan, and it looks as though Hamsik is set to be the next star of European football moving to the other side of the world to play his football.